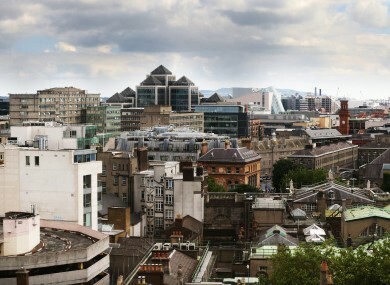 The Central Bank is seeking to reduce banks lending risky mortgages. View from the Central Bank. THE CENTRAL BANK has set out tough new plans for banks to follow that limits the amount of riskier loans they are allowed to give. The Central Bank says that the proposals will apply to all lending for home purchases and will “reduce the potential for a housing bubble to emerge”. The restrictions which come into force from January 2015 will see loans restricted based on a borrower’s income and the value of the loan they are seeking. Loan-to value (LTV): In the terms of loan size, banks are being restricted from granting mortgages that are more than 80% of the value of the property. Loan-to-income (LTI) : As regards income, the restrictions are on mortgages that are greater than 3.5 times the gross income of a borrower. Investment property: For buy-to-let properties, the restrictions apply to mortgages where the loan is above 70% of the value of the property. Banks will still be able to give out loans that fall outside these parameters but the restrictions in the form of how many of them they can grant by value, 15% in the LTV measure and 20% in the LTI measure. What it means in practice is that the vast majority of home buyers will have to save for a deposit of at least 20% of the property they want to buy. The income restriction from the Central Bank is tighter than a similar recommendation than was made by the Bank of England recently. In that case the LTI was set at 4.5 times gross income, the limit on those type of loans was greater however. In the consultation paper published today, the Central Bank explains that banks will be able to grant loans to some borrowers who have’t reached the 20% deposit level to allow for some wiggle room for applicants who are on a sound financial footing. “Examples could include otherwise very creditworthy borrowers who cannot raise the deposit required but who would be able to afford the loan servicing, or younger borrowers whose income can reasonably be expected to rise in the future,” the paper explains. As it can be assumed that a regime of the type foreshadowed in the consultation is likely to be introduced, we expect lenders not to accelerate high LTV or LTI loan approvals in advance. “We will continue our close supervision of lenders and have set out clear monitoring requirements which will apply,” he said. Email “Bubble buster: Homebuyers face 20% deposits as banks hit with tighter controls”. Feedback on “Bubble buster: Homebuyers face 20% deposits as banks hit with tighter controls”.